Shane Black directs an extraordinary cast from the script he penned with Fred Dekker. Boyd Holbrook heads the ensemble which also stars Trevante Rhodes, Jacob Tremblay, Keegan-Michael Key, Olivia Munn, Thomas Jane, Alfie Allen, Augusto Aguilera, and Sterling K. Brown. 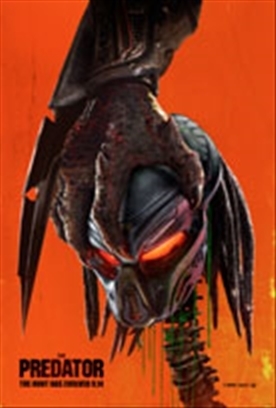 THE PREDATOR is produced by John Davis, who brought the seminal Predator franchise to life. Larry Fong is director of photography; Martin Whist production designer; Harry B. Miller III and Billy Weber editors; Jonathan Rothbart and Matt Sloan visual effects supervisors.